Spoiler warning: The following review contains plot points from Game Of Thrones up to and including tonight’s fifth season premiere. The latest episode, legally dissected. Better Call Saul: The Rise of Mike The Cleaner and The Fall of the McGill Brothers in "Pimento"
In which we review the penultimate episode of Better Call Saul’s debut season. Spoilers ahead. Better Call Saul: Jimmy and Chuck unite for seniors' rights in "RICO"
Remember when the idea for Better Call Saul first floated around in television production gossip, and it was conceived as a half-hour comedy? There has been a lot of controversy over the new rules for category eligibility at the Emmys, with Shameless making it into Comedy despite its hour-long runtime and decidedly serious worldview, and Orange Is The New Black finally shifting over to compete in its rightful category as a Drama. I had a screenwriting professor who worked in Los Angeles throughout the 90s and 00s, and was still livid that Ally McBeal got to compete as a comedy when it was an hour-long dramedy that had no business going up against sitcoms. Those are all semantic arguments about categorizing shows when there’s a lot of mutability. But imagining a world where Better Call Saul isn’t 45 minutes of deliberate, enthralling dramatic irony, holding a hopeful carrot out in front of Jimmy when the audience knows there’s a banana peel waiting to catch his foot, makes me shudder with would’ve been lost. 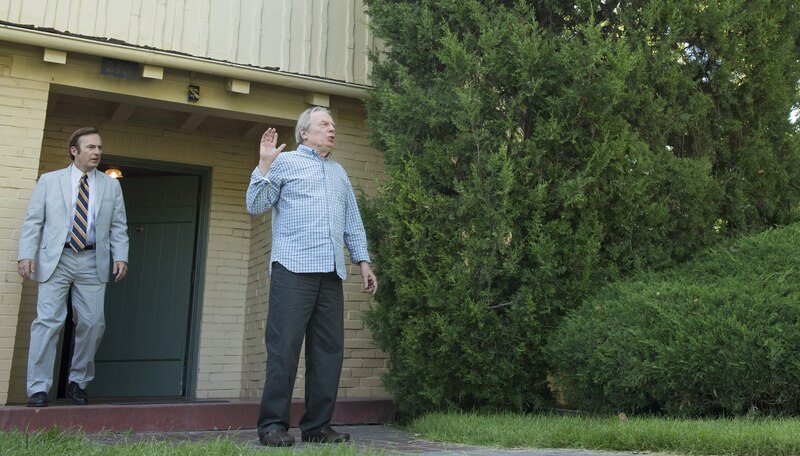 Better Call Saul giveth and taketh away from Jimmy in "Bingo"
In order for Better Call Saul to inch closer to the timeline it’s trying to meet, James McGill’s difficult life has to fester into bitterness. He’ll do anything to escape it. The latest episode of the Breaking Bad spinoff, recapped for your further entertainment. “Better Call Saul” shows Jimmy can wear many masks in "Hero"
Episode four of the Breaking Bad spinoff, recapped. Better Call Saul explores survival instinct in "Nacho"
Jimmy and Mike find common ground in "Nacho", episode 3 of the Breaking Bad spinoff. 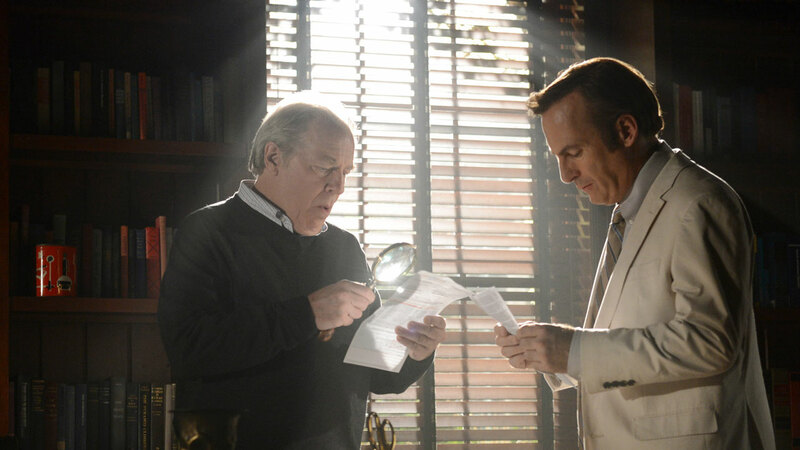 The task set before Better Call Saul is impossibly daunting. Can it join Breaking Bad in the pantheon of great TV? Kevin McFarland on what remains. Kevin McFarland reviews the medieval fantasy drama's extra-brutal season closer. Kevin McFarland reviews an unusual, action-packed episode that takes place almost entirely in and around a single location. Kevin McFarland reviews the latest episode of G.R.R. Martin's merciless fantasy epic. For Tyrion and his champion, the squeeze is on. 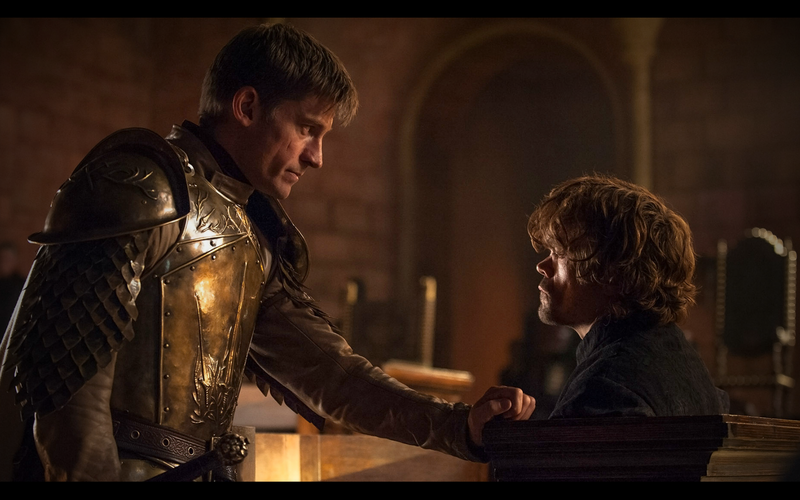 Echoes of Tyrion's past are about to collide in the present. Kevin McFarland reviews the latest episode of Thrones, where the dwarf's uncertain doom approaches. It's crunch time for the show's heroes, but Kevin McFarland finds that some of the humor in Silicon Valley lacks bite. Peter Dinklage delivers the speech of the season as Tyrion Lannister, facing the false justice of the kingdom--and his family. 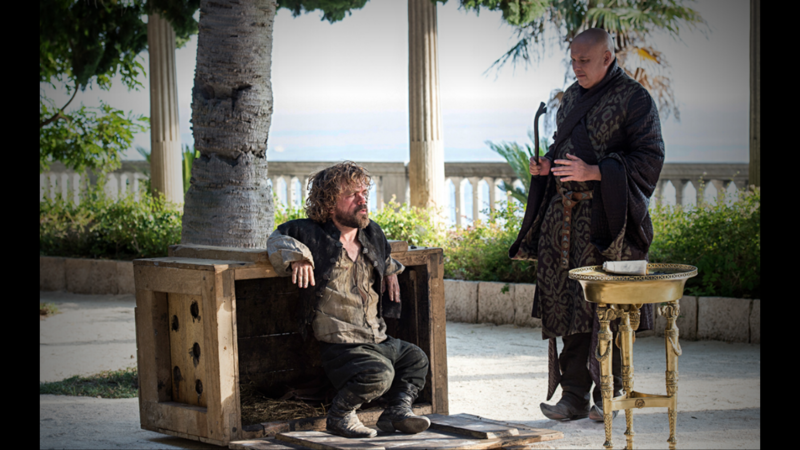 Kevin McFarland reviews the latest episode of Game of Thrones.